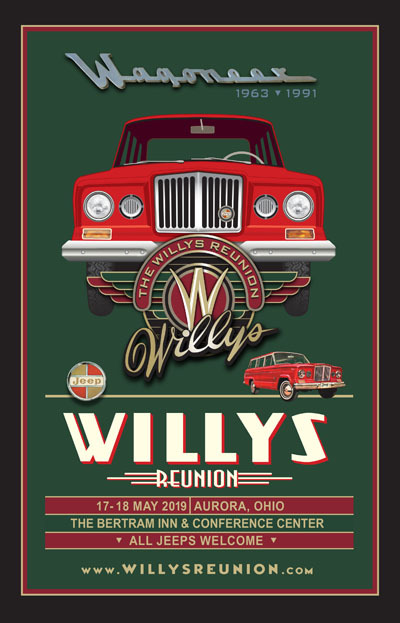 Over 100 Jeeps are expected at the 27th Annual Willys Jeep Reunion, 17-18 May 2019 in Aurora, Ohio. Plus, at the swap meet, there will be vendors from all over the country selling New-Old-Stock and good used parts. The featured vehicle this year is the 1963-1991 Jeep Wagoneer, and at the Saturday night banquet, the guest speaker will be Jeff Nelson, creator and curator of the "When Wagoneers Roamed the Earth" display that garnered so much attention at the 2018 Toledo JeepFest. There will also be a caravan of Jeeps to enjoy the scenery around Aurora and a picnic on Friday evening. On Saturday there will be a lunch stand set up in the vehicle display area. 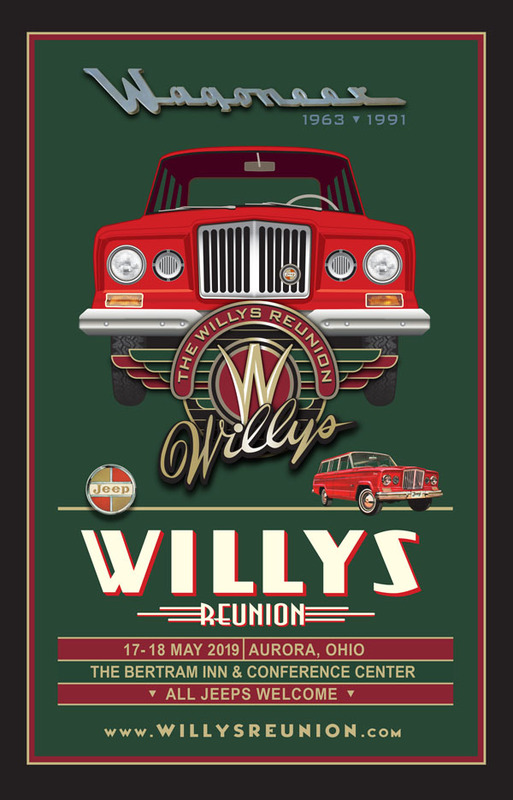 For contact and registration details, see the Willys Reunion website. The Reunion will be held 17-18 May at the Bertram Inn in Aurora, Ohio, a very welcoming facility which was also the site of the 2018 Reunion. For this year's tech presentation, well known Willys Jeep collector and restoration expert Joe DeYoung will be demonstrating the rebuilding of a Borg-Warner T-90A transmission under the big tent. We will not only be raffling off the transmission that he rebuilds, but we will also be raffling off two chances for you to bring your own T-90A and work alongside Joe and other volunteers to rebuild your transmission, with a master kit provided by Novak. The teardown of the transmissions will take place on Friday and the reassembly will be on Saturday. See also photos from previous Spring Willys Reunions on CJ3B.info. For more on past and future events, see the Willys Reunion website.